1. 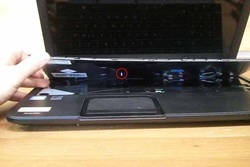 Turn off your Toshiba satellite L850 L850D L855 L855D. Disconnect the AC adapter and remove the battery. 2. 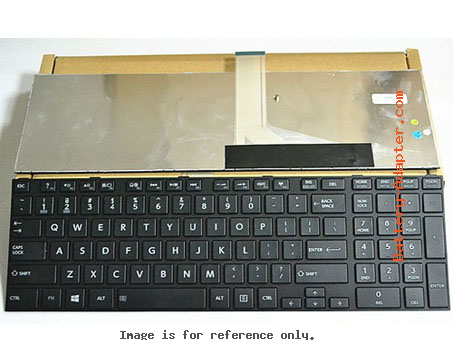 There are a few plastic tabs between the lower part of the keyboard and palm rest. On this picture I show only two of them but you'll find more. 3. Start removing the keyboard using a knife blade. 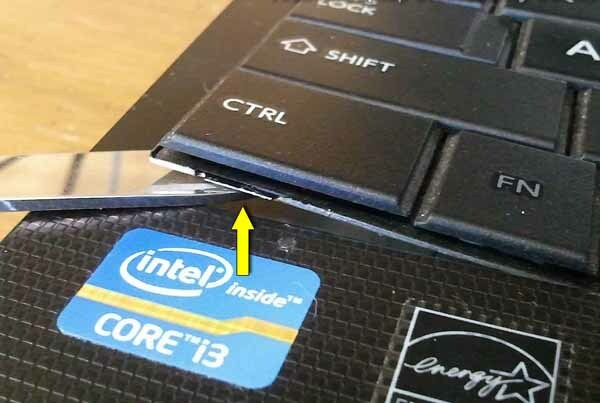 Push on the plastic tab and at the same time insert the blade under the keyboard. Push on all other tabs and separate the keyboard from the palm rest. 4. When you lift up the keyboard you'll feel that something holding it in the middle. 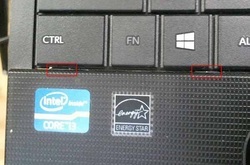 There is a small metal pin securing the keyboard to the top cover. Just apply some reasonable force and the pin will disconnect from the top cover. 5. Now you can move the keyboard towards the display assembly and access the cable connector. The cable secured to the connector by a retainer (brown piece). Very carefully slide the retainer about 2-3 millimeters to the shown direction. Use your fingernails for that. 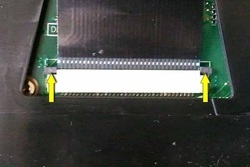 Do not separate the retainer from the connector. 6. 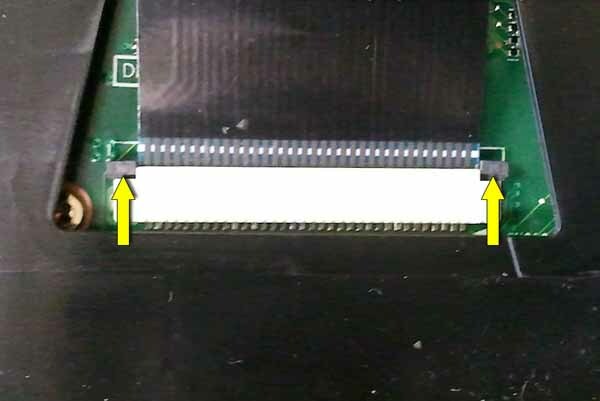 Pull the cable from the connector and remove the Toshiba Satellite L750 L750D L755 L755D Series keyboard.